Overall, anesthetists, also known as anesthesiologists, are responsible for administering one of three different types of anesthesia to patients undergoing specific procedures that require numbing. 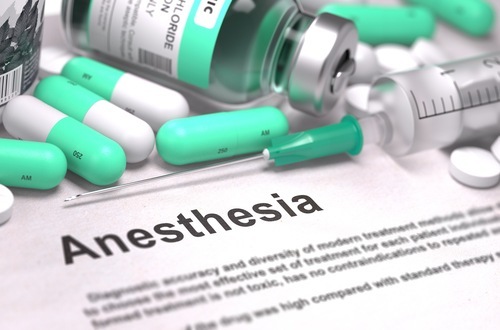 It is critical to note that an anesthesiologist doesn’t merely assess the safety of anesthesia before, during, and after surgery, but also assesses the combined risk of anesthesia and the planned operation. Regional anesthetic – Regional anesthetic numbs a specific portion of the body. Cesarean sections are done with a regional anesthetic. Local anesthetic – A local anesthetic blocks sensations in small areas. Dentists use local anesthesia when numbing a jaw or gums. General anesthetic – A general anesthetic renders the patient unconscious. An anesthesiologist in an operating room administers the anesthetic and is responsible for the ongoing, and overall well being of the patient throughout the operation. For example, after putting a patient to sleep, the anesthetist correctly positions the patient for the operation. Proper positioning provides the best visualization of, and access to, the surgical site while minimizing any physiological challenges to the patient. Positioning must also protect the patient’s skin and joints. During training, an anesthesiologist learns standard positioning practices that effectively reduce the chances of patient complications related to positioning. An anesthesiologist must also monitor the patient throughout a surgical procedure. Monitoring tasks require the continual evaluation of the patient’s oxygenation, ventilation, circulation, and temperature throughout the procedure. If any of these falls outside acceptable ranges, an anesthesiologist must notify members of the surgical team immediately so appropriate intervention can be taken. Patient needs, the experience of the anesthesiologist and the constraints of the proposed surgical procedure are addressed in a perioperative plan. In particular, a trauma anesthetic needs to be dynamic and responsive to rapid changes in patient condition. During a preoperative assessment, the overall fitness of the patient for the intended anesthetic and upcoming surgery is determined. Occasionally the urgency of the operation reduces the how long an anesthesiologist can spend with a patient. However, when surgery is scheduled, and the anesthetist can spend an appropriate amount of time with the patient, specific guidelines are followed that determine the patient’s readiness for the procedure. This includes uncovering any medical conditions which might impact the management of the selected anesthetic. Assessment of the patient’s overall health status. Development of an appropriate perioperative care plan. Discovery of any conditions putting the patient at potential risk for complications during and after surgery. Discussion of postoperative care, including pain treatments in the hope of reducing anxiety and promoting recovery. Confirmation of the need for the surgery. Education of the patient about the surgery, anesthesia, intraoperative care. With an initial assessment in hand, the anesthesiologist will review the plan for a patient’s upcoming surgery. The plan may include one, or more of the following items . Anesthesia options (general, regional or local). Pain management options after the surgery. Risk of anesthesia for the patient given the type of surgery and any other medical conditions the patient may have (such as heart or lung disease). Special circumstances that may require additional care or equipment (i., extra monitors, need for intensive care after surgery, etc.). Length of time to fast (no eating or drinking) before surgery. Review of patient’s medications, and nutrients, and if they can be taken prior to surgery. If you’re wondering why a patient must fast before surgery, it’s because the anesthetic causes a patient’s muscles to relax, including the valves between the esophagus and the stomach, allowing stomach content to flow via the esophagus into the airways lungs. Stomach content is very acidic and contains enzymes that will digest the delicate lung tissue which then becomes a life threatening-situation. Likewise, certain medications and nutritional supplements need to be avoided prior to surgery since they can affect bleeding and swelling during surgery. Some may also create blood clots, cause bruising or even prevent healing after surgery. So it’s important that the anesthesiologist receive a complete list of anything the patient is taking in order to minimize risk. The responsibilities of an anesthesiologist during the intraoperative phase are extensive. It is during this time that a patient under general anesthesia is unable to communicate, so the role of an anesthetist is vital if the safety, well-being, and health of the patient are to be safeguarded. Although the following list is not all-inclusive, it does represent the duties of anesthesiologists during almost all surgeries. Continuously monitor vital signs including pulse, blood pressure, temperature, and respiration. Control IV for intravenous fluids which control dehydration and allows the administration of medications through the drip. Ensure the safety of the patient and take appropriate steps to avoid any injuries to the patient’s body during the anesthetic period. Monitor the level and depth of anesthesia; make adjustments as needed. Perform blood transfusions when necessary. Recognize potentially life-threatening emergencies and perform timely interventions. Ideally, the anesthesiologist visits the patient between 12-24 hours after surgery. By then the effect of the anesthesia has passed or nearly passed. If the postoperative visit was discussed with the patient during the preoperative assessment, the patient would be expecting this visit. During postoperative care, the anesthesiologist watches for any signs of developing postoperative complications, as well as recovery from the anesthetic. Discovery of any side effects, including pain, the patient may be experiencing so that treatment can be delivered. Inquiry about any awareness the patient may have undergone during the surgery. Review of any complications related to the anesthesia that may have occurred. Sometimes these conversations include questions about the overall satisfaction of the patient. Although these can be managed through impersonal questionnaires, a patient may be more candid if he or she speaks face-to-face with the anesthetist. Physician Anesthesiologist – Highly skilled medical doctors who specialize in anesthesiology and are qualified to make anesthesia-related decisions for the period of time starting when the patient goes into the hospital and concluding when the patient is discharged. Anesthesiologist Assistant – Skilled and certified healthcare professionals who are trained in the delivery and maintenance of anesthesia care and monitoring. Nurse Anesthetist – The primary duties of nurse anesthetists are to provide anesthesia and related care before and after surgical, therapeutic, diagnostic and obstetrical procedures. Intensive care medicine and pain management are two other sub-specialty areas, both of which involve a significant amount of work outside the operating room environment. What are the advantages of anesthesiology as a career? You may wonder if going into anesthesiology is the right career move for you. The following benefits are often part of job satisfaction. Ability to focus on one patient at a time – Although you may have a number of surgeries scheduled, when the surgery is over, your interaction with the patient is completed, allowing more focus on the patients you have since the relationships aren’t ongoing. Financial security – In most countries anesthetists are in high demand assuring a financially rewarding career. Free time – Anesthetists/anesthesiologists often rotate on an emergency after-hours roster, giving them free time to spend with their families. It is also relatively easy to work on a part-time or even a standby basis which provides opportunities for extended holidays. Fulfillment – The ability to contain and control the patient’s pain and anxiety using both communication and medical skills make for a fulfilling career. Mobility – Anesthetists/anesthesiologists may belong to a large group practice with offices in multiple locations within the region or country. This allows for easier relocation. Variety – The practice of anesthesia encompasses a diversity of cases as well as a broad range of patients. Anesthetic is administered to people of all ages and all health conditions, and may be involved in anything from minor outpatient procedures to heart transplants and brain surgery. What are the disadvantages of anesthesiology as a career? All jobs have a downside and anesthesiology is no different. Although the advantages may outweigh the disadvantages, you have to assess what’s most important to you for contentment with any career. High levels of stress – Ensuring the well-being of a patient, especially one that is under the effects of anesthesia, is stressful. A person in this position must have outlets to manage stress successfully. Lengthy period of education – Training to become an anesthesiologist could be as long as ten years. Long or unusual hours – Scheduled surgeries and procedures often determine working hours. Some surgeries may last as long as eight to ten hours, which may be fatiguing. Malpractice – Anesthesia carries a higher medical-legal risk profile, and insurance can be expensive. Mistaken image – The image of anesthesia may seem less attractive compared to other surgical disciplines. 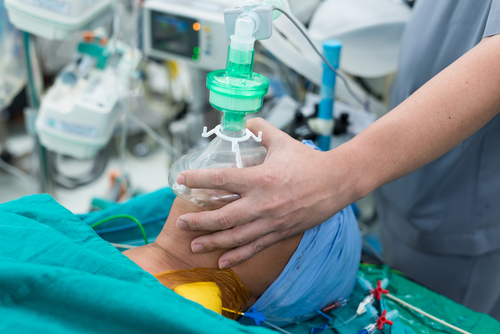 Potential routine – Pre- and postoperative tasks keep anesthetists busy. But during surgeries, especially lengthy ones, there are extended periods of perceived inactivity. Short-term patient relationships – Anesthesia does not allow for the establishment of long-term doctor-patient relationships. If ongoing patient relationships are important to you, consider a career in one of the other branches of medicine or pursue an anesthetic career in an intensive care unit or a pain clinic. Even with its drawbacks, most anesthetists will agree it is a rewarding career that pays well and ensures you remain in demand no matter where you choose to live. Related to this article, you can complete or review the following practical projects on The Apprentice Doctor’s for Future Doctors Course. Physical examinations – Examine the body using the time-honored examination skills that an anesthetist uses every day. Respiratory rates – Accurately determine the respiratory rate, and learn the importance of this in monitoring a patient’s well being. Heart rates – Accurately determine the heart rate and its importance when monitoring a patient’s vital signs. Blood pressure readings – One of the most fundamental and valuable patient monitoring skills, learn how to take accurate readings. Breathing Movements – Learn the difference between diaphragmatic and costal breathing and the clinical relevance of this distinction. hello, I am wondering what you need to study in order to become an anaesthetic. I am only in year 10, however I want to get a head start with learning what it is I need to know for sure in order for me to take this course later on. Please get back to me, Thanks! Firstly complete Grade 12 with good grades especially – maths, chemistry/physics and biology. Then do anesthetic residency, and get board certified. I am only in year 8 but i am really interested in becoming an anesthetist. I live in Australia and i was wondering what HSC score i would have to get to become one. Please get back to me. Hi – apologies – I am not familiar with the Australian medical educational system – best ask a career guidance teacher in Aus. Year 11 and when I’m Year 13, I’m only allowed to pick 5 subjects in my school. The Maths are separated. I’m planning to pick 3 Sciences: Chemistry, Physics and Biology. And about the other 2, I’m not quite sure yet. It’s either both Maths: Calculus and Statistics or 1 English and 1 Maths, but I don’t know which type of Maths would come in handy (or more important for this career). Please help me make a decision on what subjects to take. Thank you! Have a good spread between sciences, languages and other subjects like art, economics etc. Focus in on maths and sciences- especially the exact sciences like physics and chemistry. Better see a guidance teacher for the final subject choices!